Author(s) Hassell, Hans J. G.
Primary elections were supposed to limit the influence of party bosses on the nomination process. The decision to run for House or Senate and a candidate's success in securing the party's nomination for these offices has been considered to be largely candidate-centered. 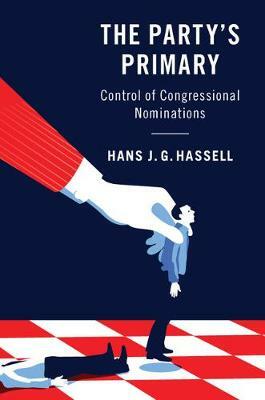 In The Party's Primary, Hans J. G. Hassell shows that parties have a strong influence on the options available to voters and shape the outcomes of the nomination process. Drawing on interviews with party insiders and candidates, Hassell highlights the resources that parties have at their disposal that are not readily available outside the party network and the process by which party elites coordinate behind preferred candidates. Using data from almost 3000 nomination contests for House and Senate in the past decade, this book shows that parties use these tools to clear the field for their preferred candidate and exert a strong influence on the outcomes of primary elections.